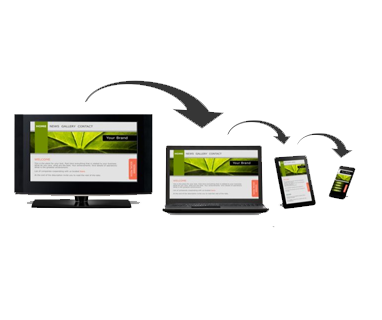 So now you are probably wondering, what is a Responsive Website? In today's world the internet is one of the most important forms of media and the internet is mostly consumed using desktop devices. But, what about mobile devices? The share of internet usage on this devices is growing more each day and know you might be wondering why is this important to me, well, it means that if you don't want to loose any potential customer, then you need a great looking website which is also optimized for mobile browsing known as Responsive Website. Lead Management: where you can have an organize database of your clients/prospects with their information, when was the last time your company has been in contact with them, information about the media that was used in order to get the prospects attention, etc. Calendar: It's time to update your old planner to a digital planner! dotFRONT SmartWebsites comes integrated with this tool that will show you reminders to help you build a relationship with your customers. Telemarketing: Get your sales team ready to call your target market to find your prospects and future clients. As a business owner, you know that constant follow ups are the key to success and closing more sales. The telemarketing tool will provide you the ability to have an organized database to input information of prospects that are candidates to move to the next steps and their information will be automatically moved to our Customer Relationship Manager (CRM) to continue the following steps of the selling process.